It is at birth that the process of learning commences. At Just for kids we strive to create a nurturing, caring and warm environment in which your child develops a strong sense of security and comfort. We believe that routine tasks such as meal and bottle times, sleep and rest periods are a time for developing trusting and close bonds, during these one on one interactions between each educator and child. These close interactions allow for learning to develop naturally through everyday routine tasks. Our team will work closely with each parent and family member to ensure consistency throughout all areas of your child's routine and learning. Family involvement and strong communication patterns between families and staff are imperative to your child's development and learning. Through collaboration with families, we are able to cater to your child's individual needs and routines. 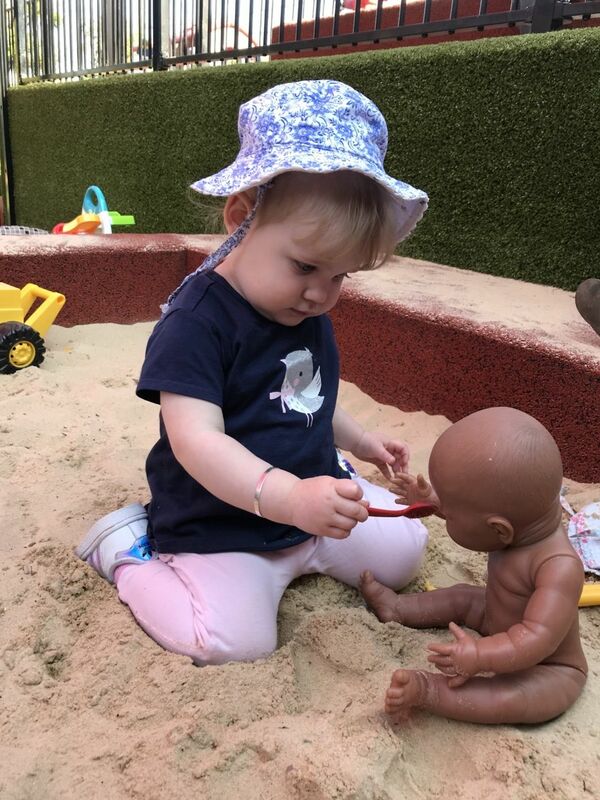 During this stage of your child's life they develop the desire to explore and investigate their world through hands on experiences and stimulating interactions with peers, educators and the world around them. We will extend on this desire by implementing activities that provoke learning and curiosity in a way that children can learn during their play and interactions. Activities that encourage natural skills and abilities include various mediums including painting, drawing, clay or play-dough, blocks, music as well as through verbal communication and gestures. All children will be encouraged to explore and learn ways to express their thoughts, feelings and emotions and individuals will be respected and supported at all times. Parents are invited and are strongly encouraged to be involved in the daily activities and programming as much as possible. We believe strong partnerships between educators and families pave the way to a memorable and enriching early childhood experience for each and every child. Children are encouraged to investigate, explore , hypothesis, problem solve and create in many ways. Each child is treated as an individual and will be treated with empathy and respect at all times. Through encouragement and modelling, children are supported to share, take turns, cooperate and develop a caring approach towards peers, adults and the world around them. Our preschool aged children are also guided through a school readiness program which creates a broader understanding of the expectations of formal schooling and builds foundations for a successful and confident learner. Just For Kids approach to school readiness is an interactive and educational program that enables the children to not only develop the academic skills necessary for formal schooling, but also independence, social and emotional skills that assist each child to achieve the very best they can out of life.